This is an important time for humanity! As we have discussed before every man, woman, child, plant and animal were recently removed from the old grid and placed on the new, upgraded grid that allows for the more complex light codes to flood the earth and be utilized properly. As part of this the magnetic field surrounding your earth is also being upgraded.Each living being, including the earth will be connected to the upgraded field within these next few months.The connection has already begun for some. As part of this upgrade the earth will continue shifting and releasing to align to the new magnetic field. These can be seen as radical geological events, volcanoes, sink holes, earthquakes, and tsunamis. Do not fear these changes as all souls that experience these shifts have contracted to do so. Do not allow for fear that dramatic events will occur that will decimate the human population. This will not occur, as it was decided long ago that earth and her people will ascend. Now is the time for every being, whose heart chakras are opened to send love and compassion to everyone and everything. Just as the earth is reacting to the change in the magnetic field so too are people. Many are finding their current situation unbearable and are seeking change. Some are feeling the squeeze to release as much density as possible at this time. This is can be uncomfortable mentally and physically. Set your intention daily to release as much as possible and know that all that is taking place is a gift. The new magnetic field is much stronger and just as a stronger magnet will attract more and bigger things, so too will you once you are fully connected. This means that you will simply attract to you more of a like vibration than ever before. This is why you are being pushed, pulled, and squeezed to release all that no longer serves you. Many of you are releasing themes that you feel you released before but on a much deeper level. 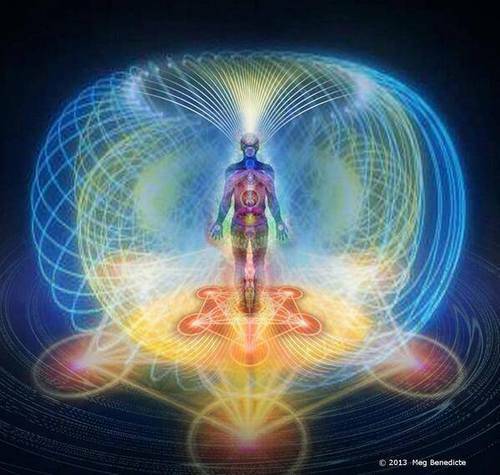 Once you are connected to the new magnetic field you will bring to you much faster and stronger the vibration and the message that you are sending out. Now is the time to examine your life, look at what you are attracting to you. Know that this will only get stronger and more powerful, if this concerns you then look at the beliefs, patterns, and fears that have kept you in this space. We challenge you to look at every aspect of your life that is not longer bringing you joy and peace and make steps to change this. Every step you take in the positive direction will have rippling effects. Now is the time to put your happiness, your joy, your passion first. Understand that even if you can not change your physical location or situation you can change how you perceive it and know that once you have learned the lessons it can offer, you will find change comes easily and quickly. Many are feeling the effects of the earth changes in these moments. You are more connected to the earth than many realize. Some of you will experience dizziness, nausea, headaches, and intense anxiety during these changes. Take all the time you need to rest. Make sure you are grounding and spending significant time outside and away from electrical devices. Plants, flowers, essential oils and flower essences can help you stabilize your energy field during this process as well. Crystals will also help you with your aura during this time as well. Look at your young children, you will see that they will naturally want to spend more time outside playing with rocks and sticks. They understand what is needed to cope with the erratic state of energies during this time of transition. Water is essential during this time as is salt to help maintain your bodies electrolyte balance. Sitting in salt water is very helpful at this time as well. Due to the changes taking place in your inner and outer world, many will experience intense anxiety that often translates into anger. If you feel the rushes of anger and anxiety, take time alone and do things to help stabilize your auric field. Understand that everyone will be going through this process regardless of their conscious awareness of the situation. We ask that you be gentle with yourself and others, be understanding as possible as compassion will go a long way to ease a troubled soul. Do not get caught in the drama taking place around you, know that each person is clearing the density from their bodies in the way that they know how to do. Remember how difficult this process was for you and how at times you lashed out onto yourself or another. All of humanity is clearing their personal density at this time and are being show their shadow self and ego so that they can become integrated and healed. For some, this is to show you the last bits that remain for healing and for others these aspects are becoming intensified so that they are easily recognized. Again, we ask you not to go into judgement or fear, know that all is happening in the divine timing and order. We send you much love during this time. Me: Right now in my country there are riots and protests taking place. I am seeing how these are polarizing people and escalating duality. I cannot help but have an opinion, how do I stay out of duality. Quan Yin: Having an opinion is not a problem. Duality is an issue when you become filled with judgement and feel that your stance or opinion is the only way. When you can open yourself to see aspects of all sides and have compassion for all involved then you have left duality behind. You are not expected to be devoid of emotion, opinions and feelings, you are asked however to open your heart completely and see an event from as many sides as your consciousness allows. Understand that many people’s shadow side is being revealed in these moments, this is not a bad thing as you can only heal and change what you know exists. Think on these moments as humanity being birthed. It has been long awaited, it has been uncomfortable at times, and the labor can be long, painful and intense. However, once born all that will be forgotten as you rejoice at the outcome. Reblogged this on Awakening Our Truth. Thank you! Much love to you !